Before making her Tollywood debut with Teja’s Lakshmi Kalyanam in 2005, Kajal Aggarwal appeared in a cameo in a Bollywood film titled Kyun Ho Gaya Na. Starring Aishwarya Rai and Vivek Oberoi, the film released in 2004, when Kajal was just 19. Coincidentally, Kajal and her debut film’s hero Vivek Oberoi will soon be seen in prominent roles in Thala Ajith’s Vivegam. 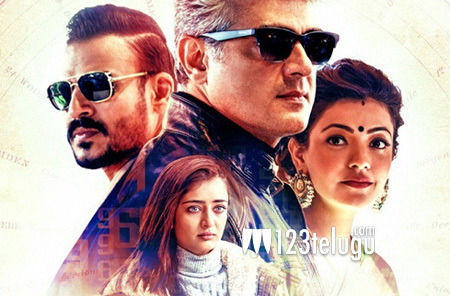 In his latest promotional interview, Vivek Oberoi said that Kajal had given a terrific performance in a difficult shot in Vivegam. “Her first film was with me. As soon as she completed a difficult shot in a single take, I went up to her and praised her,” said Vivek. Vivegam, titled Vivekam in Telugu, is releasing on August​ 24th.